In this webcast presented by Ash Maurya, author of Running Lean, 2nd Edition, he discusses the 10 steps you need to know to get your product/market fit. By following the Running Lean techniques, you will learn to eliminate waste—whether it's time, money, effort, or all of the above—and get your product to market quickly. Your product is not the "product"
Ash Maurya (@ashmaurya) is the founder of USERcycle. Since bootstrapping his last company seven years ago, he has launched five products and one peer-to-web application framework. Throughout this time he has been in search of better, faster ways for building successful products. 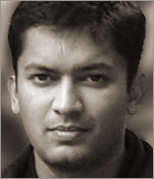 Ash has more recently been rigorously applying Customer Development and Lean Startup techniques to his products, which he frequently writes about on his blog http://www.ashmaurya.com, and which turned into a book: Running Lean. Ash resides in Austin, Texas, with his wife, two children and two dogs.